I’ve been told that I need to quit relying on the peer-reviewed journals for my scientific knowledge, because they are paid for by Big Government, Big Pharma, Big Agra, Big Hebrew and Big Whatever. They’re all just big with every single person involved dedicated to providing information to fool the people of earth. 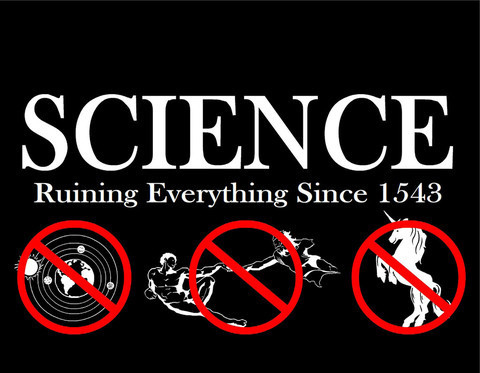 Science is obviously wrong about everything. Including unicorns. Obviously wrong about unicorns. Apparently, the only acceptable type of research is doing it yourself using Google. Or in a pinch, Bing. Because I wanted to be more open-minded and to learn the Truth™ about everything. And here’s what I found. The Theory of Gravity is wrong. I was foolish to listen to mainstream scientists like Isaac Newton, Albert Einstein, Carl Sagan, and Neil deGrasse Tyson. Of the many profoundly stupid ideas mainstream science tries to insist are real and true, perhaps the stupidest is the notion that gravity is the driving and binding force throughout the universe. Gravity is supposed to be what brought everything together in the first place, and what holds it all together in the magical “dance of the spheres” that occurs across a vastness so wide and deep that no words are really adequate to describe it. Yet gravity does not now have, nor has it ever possessed, the physical power to do that. In addition, science still does not fully understand gravity or how it works. The Theory of Evolution is false. The true scientists at NASA helped us figure this out. The only Big Government group who knows science. Two NASA two land rovers named Spirit and Opportunity explored Mars during 2004. The topography shows obvious signs of past liquid rivers flowing in numerous places. The rovers have proven that water was once abundant on the surface of Mars, but they have not been able to find any signs of life or any signs of past life on the planet. Over 95% of global warming models are just wrong. I knew that the 97% of peer-reviewed papers that support anthropogenic global warming was wrong. Because Google said it. Vaccine industry is filled with scientific fraud. How could I not understand this? Natural News is made up of real scientists who provide us with data much better than peer reviewed papers on vaccines. Now, I know to ignore PubMed. This is going to make blogging so much easier. Bananas cure cancer. Apparently, I will have to retract this article, now that I have access to real science. Homeopathy is better than the toxic injections of flu vaccines. 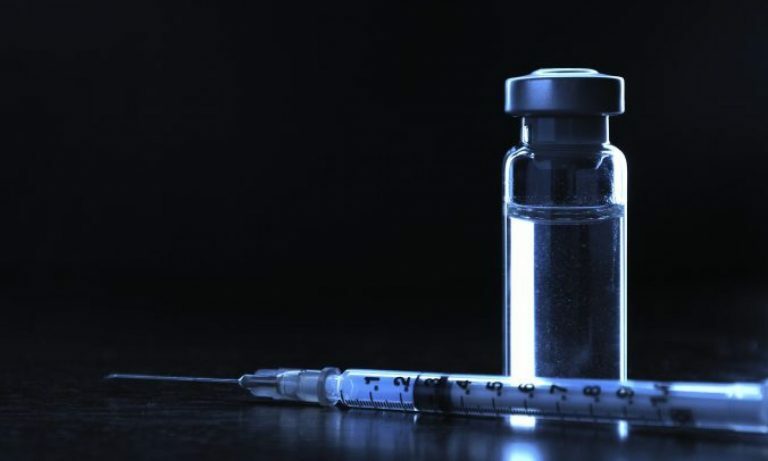 In one case involving vaccination against meningitis, out of 18,640 children homeopathically immunised during an epidemic, only 4 cases were recorded (0.0002 percent), while out of some 6,340 non-vaccinated children 17 cases of meningitis were recorded (0.003 percent, or almost 10 times the rate of infection). No system of vaccination can provide a 100% guarantee of protection, as factors such as nutrition, stress and predisposing factors also come into play. However, the homeopathic immunisation is unique in being free of side-effects, being gentle (administered orally), and highly effective. That is impressive data. I’ll bet that if the same study examined all of those individuals who came down with meningitis, I bet that the rate would be lower with homeopathic vaccines than with Mainstream Science vaccine. I’m sure that Big Pharma has hidden that study. GMO foods cause autoimmune disease, diabetes, obesity and infertility. Scientists have been cherry-picking data that shows GMO’s are safe while ignoring all the evidence that they’re dangerous. I’m no conspiracy theorist, but I think there is enough inconsistency in the available evidence to support the removal of GMOs from your diet. Fortunately, purchasing certified non-GMO or organic foods and eating a whole-foods or Paleo diet will allow you to steer clear of most GMO foods on the market. Until more legitimate research is conducted, I believe it’s better to be safe than sorry and avoid genetically modified foods as much as possible. Oh noes! I was wrong about the paleo diet too. Now where can I buy this stuff. I can’t do any more. Sixty minutes of RESEARCH on Google (alas, not Bing) has PROVEN that I was ABSOLUTELY wrong ABOUT modern science. I am sorry to all of my readers. I am sorry I accepted the peer-reviewed papers as gospel. I should have done better. So, when is that graduation ceremony since I am exhausted from all of the hard research I had to do at the University of Google. I wonder if their team is doing well in March Madness.